The Massachusetts Legislature on Thursday quickly overrode Governor Charlie Baker’s veto of an $18 million pay package that provides huge salary increases — 45 percent or more for some — to the state’s legislative leaders, judges, and other top officials. The raises, which will take effect immediately, will make House Speaker Robert A. DeLeo and Senate President Stanley C. Rosenberg among the highest-paid legislative leaders in the country. The House voted for the raises by a 116-43 margin, followed by the Senate on a 31-9 vote, the final hurdles in a three-week-long controversy. DeLeo and Rosenberg rushed the pay bill through the Legislature with little public discussion. DeLeo and Rosenberg will see their pay rise from their current $97,500 to $142,500. With newly reconfigured allowances for office and travel expenses, their pay will grow to well over $150,000. Other lawmakers will see smaller increases. The Massachusetts Legislature on Thursday quickly overrode Governor Charlie Baker’s veto of an $18 million pay package. The pay raise push came as state political news was being drowned out by the turmoil in Washington. Rosenberg strongly defended the unexpected appearance of the bill on the Legislature’s agenda last month and the swift passage, saying the proposal was first floated two years ago when a special commission created by the Legislature called for the raises. He noted that the stipends for legislative leaders that were raised in the compensation package had not been increased for more than 30 years. Maurice Cunningham, an associate professor of political science at the University of Massachusetts Boston, argued Thursday that the officials deserve the money, and he said many could make far more in the private sector. “They deal with, among other things, a $40 billion budget, and when you think of the magnitude of that, then the money is not at all out of line,” he said. The House vote came with little debate. Only three lawmakers, all in opposition, took to the floor. The entire 35-member Republican caucus, joined by eight Democratic state representatives, made up the small opposition in the 160-member House. A veto override requires a two-thirds majority. Several hours later, the Senate took up the bill, acting on it without debate. The six-member Republican caucus held tight in opposition to the raises, and only three Democrats — Senators Walter F. Timilty of Milton, Anne B. Gobi of Spencer, and Michael Moore of Millbury — voted to uphold the veto. Still, the governor, who values his close working relationship with legislative leaders, did little to lobby lawmakers to change their votes after his veto. He needed 10 Democrats in the House or five in the Senate to switch. His office said he called “several legislators” but would not identify them or say whether they were among those who voted in favor of the bill. The legislative raises are actually increases in the stipends that a vast majority of lawmakers receive in addition to their $62,500 base salary. Senate majority leader Harriette Chandler and House majority leader Ronald Mariano will see their leadership stipends increase from $22,500 to $60,000. Senator Marc R. Pacheco, the Senate president pro tempore, will get a raise in his stipend from $15,000 to $50,000 , as will Representative Patricia A. Haddad, the House speaker pro tempore. “Raises of any type are always the subject of disagreement, shall we say. 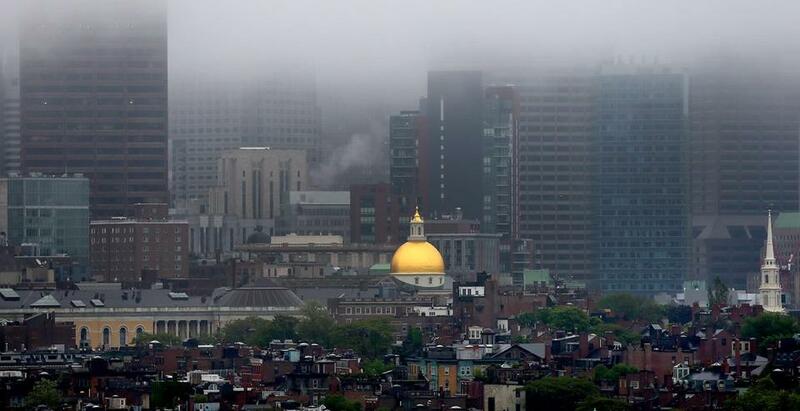 I don’t think there’s ever any right time or place,” DeLeo said before the House vote. Whether lawmakers accept the raises is up to them, he said. The package includes raises not only for legislators and judges, but also for constitutional officers including the governor, lieutenant governor, attorney general, state treasurer, auditor, and secretary of state. Baker has said he and Polito will not accept the pay increase. The bill also includes a new $65,000 housing allowance for the governor, which Baker said he would also not accept. Attorney General Maura Healey and state Treasurer Deborah Goldberg both announced after the Senate vote that they, too, would not take the pay raises. The bill calls for the attorney general’s pay to increase from about $130,500 to $175,000 and the treasurer’s salary to increase from $128,000 to $175,000. Associate justices on the Superior Court would receive raises in four incremental steps over the next 18 months, going from $159,694 to $184,694. When DeLeo and Rosenberg initially presented the pay bill, it included raises for legislators and state constitutional officials only, with an initial annual price tag of $934,000. The money for lawmakers’ salary increases, they said, would be taken from existing funds in the Legislature's budget. But when the full bill was rolled out, it contained judicial and court personnel pay raises as well, pushing the total annual cost up to $18 million. Putting the judicial raises into the bill creates serious legal hurdles to any efforts to place the pay issue before the voters on the 2018 ballot. The state constitution bars referendums on judicial pay.